Posted on March 2, 2015 by Ronald Patrick Raab, C.S.C. I sketched this image yesterday before the morning Masses. I am really struck by this face because he represents a man who has spent this lifetime doing the work of prayer. The hard work of living every aspect of life shows on his face. 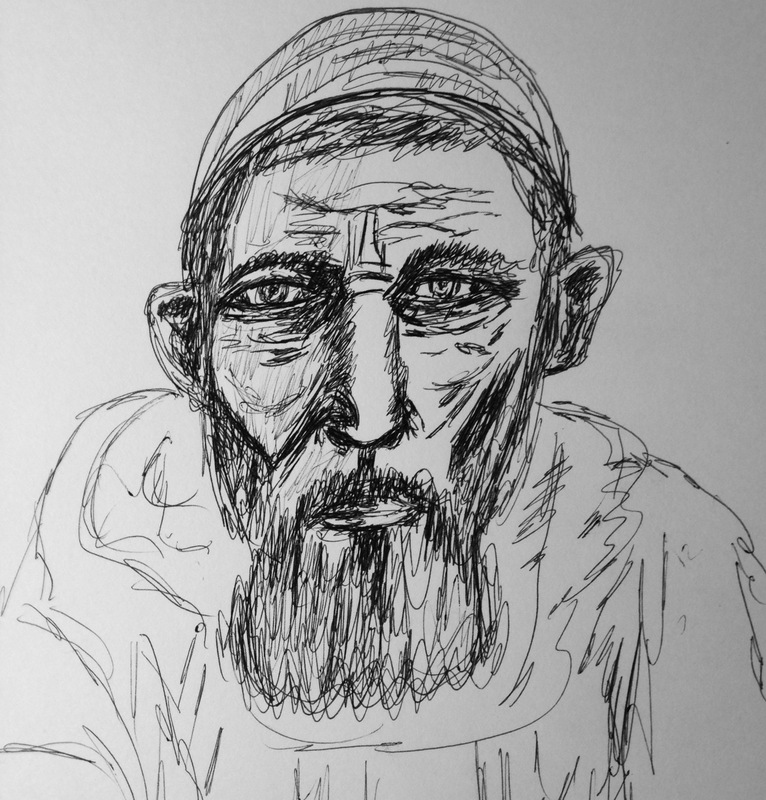 His wrinkles reveal discouragement and sadness and the weariness of his perseverance. However, there is also a real and authentic trust that settles into his expressions. I see myself in him but he also reveals to me the many faces of people who struggle to make ends meet, those who work so hard to forgive themselves, those who are unsettled in their life decisions, and those who are looking to God for help because they finally realize they cannot fix their unfortunate situations. He reminds me that we all need God. The work of forgiveness is real. The work of mercy is God’s work within us. However, I am not saying that any of this spiritual work is easy. In fact, the work of forgiveness might just be the most important job we will ever have. This work may even settle into every wrinkle on our skin. Persevere in you spiritual tasks of forgiveness in all of your relationships. Persevere in this Lenten journey. Your rewards will be authentic and everlasting. Thank you! I need to be reminded I must persevere in the work of prayer.